The fast-paced new novel from the internationally bestselling author of The Best Laid Plans, Morning, Noon & Night and Bloodline. Someone was following her. She had read about stalkers, but they belonged in a different, faraway world. She had no idea who it could be, who would want to harm her. She was trying desperately hard not to panic, but lately her sleep had been filled with nightmares, and she had awakened each morning with a feeling of impending doom. 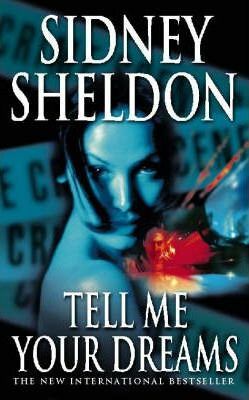 Thus begins Sidney Sheldon's chilling novel, Tell Me Your Dreams. Three beautiful young women are suspected of committing a series of brutal murders. The police make an arrest that leads to one of the most bizarre murder trials of the century. Based on actual events, Sheldon's novel races from London to Rome to Quebec City to San Francisco, with a climax that will leave the reader stunned.